What's the scariest thing you can think of? For me it's clowns, dolls coming to life and ventriloquists dummies.... 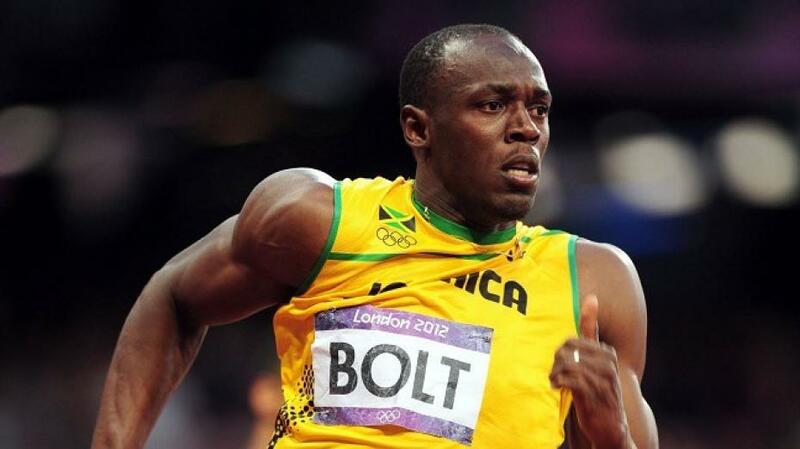 I also can't stand anything round my neck, or thinking I can't breath…. or one particular scene in The Woman in Black (the old BBC version, not the Daniel Radcliffe film). If you've seen it, you'll know exactly which bit I'm talking about - TERRIFYING. I'm a bit of a wuss generally and news of this must have made its way across the ocean, as I was asked to be a participant in this year's Fear Fabric Challenge, hosted by Beth at 110 Creations. WOOOOOOOOO!! 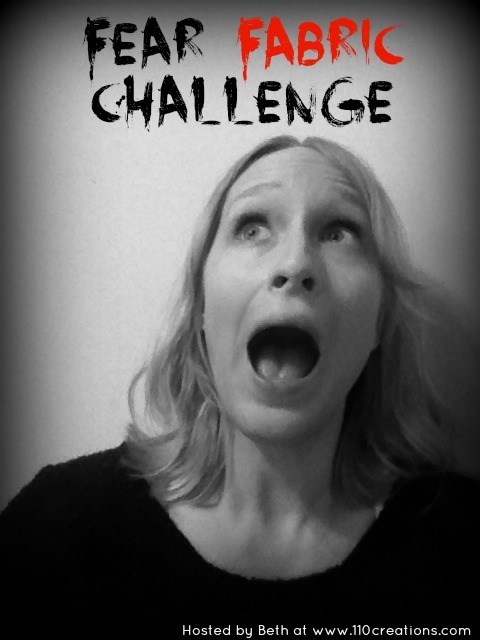 For the challenge I had to choose a scary fabric and conquer my fear of it by sewing something fabulous. Now there isn't actually a fabric that scares the bejesus out of me in the same way as a talking doll or The Woman in Black would, but there are a few I've managed to avoid like the plague. One of them is silk, which I'm still giving a wide berth, the other one is lace. Ah lace, lace, lacey, lacey, lace, so pretty, but with such a dreadful reputation, all those holes! It was only after seeing this Joseph dress worn by my lovely friend Rose that I was truly inspired to give lace a go myself. Doesn't she look BEE-OOT-IFUL? I thought a whole dress would be a bit much to tackle on my first attempt, but liked the idea of a smart top that could be worn with fitted trousers. 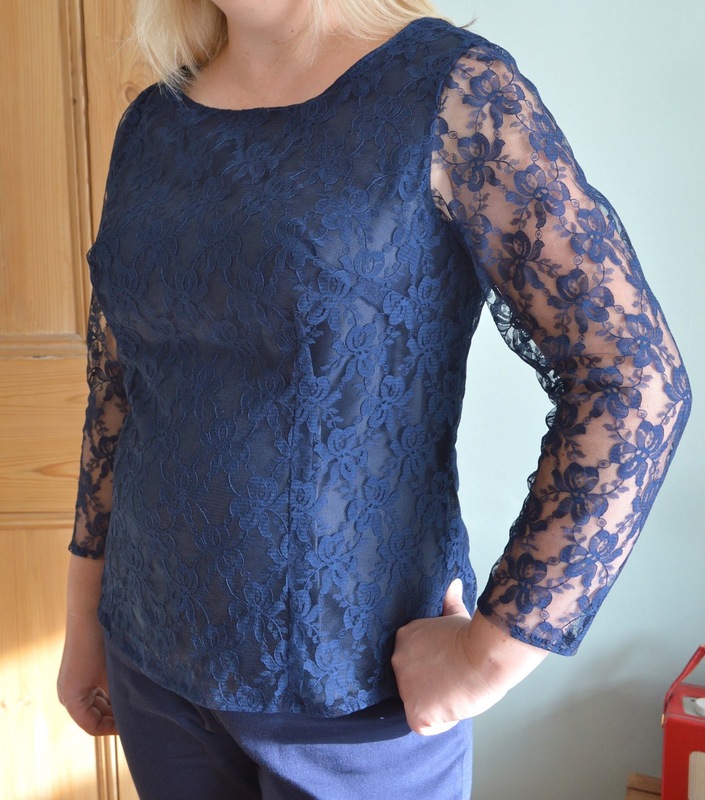 A bit like the Luxurious Lace Top from Boden. For fabric I used some All Over Flower Lace in navy from White Tree Fabrics. I recently joined their blogging team as an occasional guest blogger, so the lace, satin lining fabric and bias binding for finishing was kindly sent to me free of charge - thank you White Tree Fabrics! There was an almost overwhelmingly large selection of lace to choose from, so I ordered a few samples first. I'd highly recommend doing this as the samples are generously cut and you can drape them over your arm to see what they look like as sleeves. I didn't want to go with a very expensive lace, just in case I totally bodged it, and although the lace I used was fine, with hindsight I should have taken the risk and gone for a higher quality fabric. I think it would have given the top more of a fancy finish. The pattern I used was the Colette Laurel. What appealed to me about the pattern was the lack of zips or buttons - the top version can just be pulled over your head. Shaping is created with bust darts and back contour darts, which I was hoping would be enough. I actually made a muslin beforehand (gasp!) and cut a size 8 with a ½" FBA (full bust adjustment). Although it fitted well across the bust, it was still a little boxy for my liking, so I added contour darts to the front, checking I could still get it over my head before sewing them! I also took in the side seams a smidgen too. The only other change to the pattern was to extend the length of the sleeves from elbow length to wrist length (about six inches). 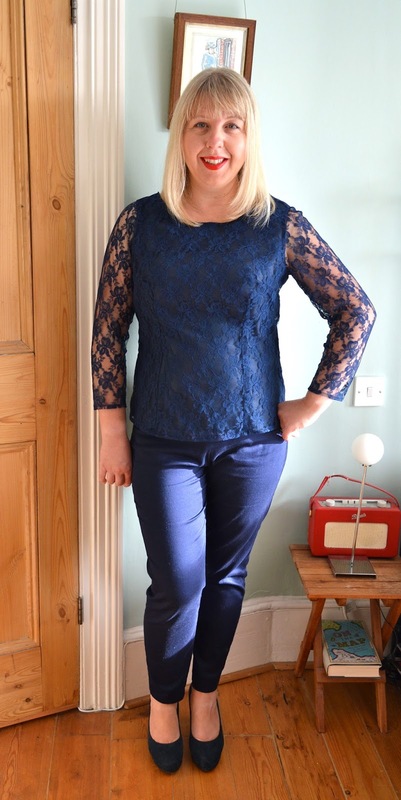 Lace is very 'on trend' (as Gok would say), which was handy as there were plenty of examples in the shops for me to inspect at close quarters. I was initially thinking of underlining the lace, but my secret lurking revealed that the majority were made with a full lining. So a full lining it was. I used a solid navy satin lining, which was actually far more of a pain in the arse to work with than the lace. It was slippery to cut out and frayed like nobody's business as soon as you even looked in its general direction. I used the shiniest side against the skin so that the top could slide on and off easily, with the duller side against the lace to give less of a bling effect. By comparison, the lace was as good as gold: it washed and dried like a dream, didn't fray and behaved itself perfectly when I was cutting it out. Nothing scary about this fabric at all. Working with it is time consuming though - it's almost impossible to mark lace pattern pieces in the usual way, so I used tailors tacks to mark out all the darts and notches (thank you Louise at Thread Carefully for showing me the light on that one!) Marking up the pattern pieces took ages, but it was good discipline. As the bodice is fully lined, most seams are hidden from view, for the ones that are on view (such as the sleeve seams), I used French seams. I also used this brilliant tutorial - inserting un-lined sleeves in a lined bodice - to achieve a lovely clean finish around the sleeves and armholes. I didn't actually refer to the instructions much as I fully lined my top, which meant a lot of them were redundant (along with the bias binding). There's a lot more you can do with this pattern though: as well as the top, there are three dress options included in the pattern itself and the option to download an E-Booklet with a further nine variations. So what's the verdict? Well, my verdict on working with lace is a pleasant surprise. Yes, it's time consuming to work with, but the fact that it's relatively easy to prepare and sew more than makes up for this. I'm still not convinced the shape of the Laurel pattern is that flattering for my shape - I made this before taking my pattern cutting course, so if I made it again, I would tweak it accordingly. I also think my decision to fully line it has made it a bit bulkier than I'd prefer. It's perfect for wearing with jeans and heels to the pub though, and in that respect, it's a super useful addition to my wardrobe. I would like to work with lace again, but I think next time I'll choose a different colour. I've been sewing for five years now and would like to think that my dressmaking skills have improved a teeny bit during that time. One thing I still don't have much of a clue about though is fitting. I've never been properly taught how to fit patterns - everything I've learnt has been cobbled together from reading sewing blogs and books or by following sewalongs. Yes, I can more or less tweak a pattern to fit me, but I don't really know how and why I'm manipulating it. I've always wanted to be able to make a sloper or block to fit my proportions exactly, which I can then use to adapt other patterns. I don't want to become a designer, I just want somebody knowledgeable to explain the basic mechanics to me. So when Katie posted this excellent review about the three day pattern cutting course she'd taken at Ray Stitch, I was on red alert. I knew that this was exactly the course I'd been looking for and booked in for the October Pattern Cutting Weekend. During the weekend I would create a skirt and upper body block and learn how to use the blocks to adapt commercial patterns and even create my own! I. Could. Not. Wait! The course was taught by Alice Prier, a super-stylish pattern cutter and designer with a ton of knowledge and experience to share. Alice was also very engaging and funny, which really set the class off on the right foot. This was a world away from the soul destroying needlework lessons at school! We started by taking 'accurate' measurements of each other. It was reassuring that Alice could take one look at our pattern paper and know immediately if we had an incorrect, or, in some cases, physically impossible measurement (ahem!) We each created an upper body and skirt block joined together at the waist to form a dress, which we then sewed up in calico. After trying them on, we all needed only minimal adjustments to ensure a perfect fit. Honestly they all looked great, and that's saying something as calico is notoriously unflattering (see photo below…) I achieved a good fit across the bust (hallelujah!) but needed to add an inch across the stomach and bum area i.e. the widest part of me, as the toile turned out a bit tight. I also had to pin a small chunk out of the front neckline as it was slightly gaping. Apart from that it fitted. Perfectly! This all happened on the first day - the second day was devoted to learning all about darts. Now I've done the odd FBA (full bust adjustment) and gaping back adjustment in my time, so I had a rough idea about what happens if you pivot or spread a dart. Having it explained properly really did cement it into place for me - this was definitely my lightbulb moment of the whole weekend! Alice slashed a bodice into sections and then showed how a different fit/look could be achieved by pivoting the darts around the bodice. Once a bodice block is created, there is a set amount of shaping within the darts - so as long as this total amount of dart area remains the same, the darts can go anywhere. It can all go into one dart. It can be redistributed between two different darts. It can be joined together to form a princess seam (forgot to take a picture of that one.). It can be an underarm tuck. Or, if you want more ease, you can simply choose not to sew the dart up at all. This may be obvious to a lot of people, but it wasn't to me, so to finally understand it was well worth every penny of the course fee. These basic principles can then be used to create patterns for whatever you like. The possibilities are endless and I came away bursting with ideas. I've now transferred all my scribblings to my 'fitting' notebook', just in case I forget anything, which is highly likely. I've also decided to take Alice's advice and trace my block onto card to preserve it. You should all know by now that I have a bit of thing for a nice bow blouse. 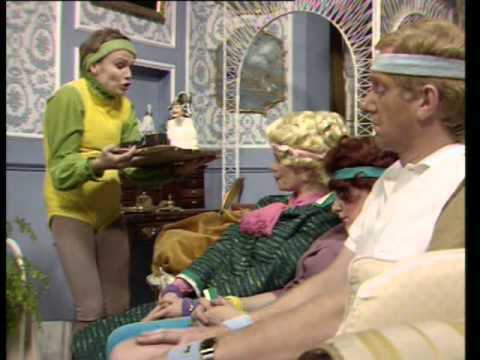 Whenever I fancy channelling my inner Mrs Slocombe, my go-to pattern is Simplicity 2154. I love this pattern, LOVE IT! I made my first bow blouse about a year ago and vowed I'd like to wear it for the rest of my life. Since then I've made a modified version for the beach and have just completed a third version complete with giant bow. I'll have to eat my words because THIS is the bow blouse I want to wear for the rest of my life! The fabric I used is Robert Kaufman Dotted Chambray in Indigo, which was kindly gifted to me by Annie at The Village Haberdashery. I knew I'd like this fabric after seeing it on various websites, but it wasn't until I actually made something with it that I realised how awesome it was. It's oh so soft to the touch, and feels even softer once its been pre-washed. It also has a great drape but is easy to cut out and press, two things that don't always come hand in hand. Lots of other sewing bloggers have used it for projects and I can totally see why. Check out Mary's beautiful shirt dress, Tilly's Bruyere blouse, and, as of today, Lauren's button down shirt. I sewed the same size as my other versions (size 14), with no adjustments and no side zip (hoorah). As per my first version, I didn't interface the bow, which I think results in a perfect level of floppiness! The pattern instructs you to turn and hem the top section of the centre seams around the keyhole openings. I decided to turn and hem both seams all the way down and really like the neat effect it gives. Inside back view: lovely neat seams! One thing I noticed when I did my recent wardrobe changeover (from summer to autumn) was a lack of basic, functional items. By this, I mean everyday pieces in solid, neutral colours that match up with the rest of my wardrobe. To most people, a neutral colour is white, cream or black, but to me it's navy blue....or red. I addressed this a few weeks ago when I made my first Mabel skirt in red and Ultimate Trousers in navy, both of which have been on almost constant rotation from the moment they were born. Yesterday, after a particularly successful flurry of sewing, I ticked off two more items. They're both neutral (well, navy) basics so should really be classified under BORING. However, I'm pretty delighted at how well they've turned out, so I'm subjecting you to them today I'm afraid. First up is another Bronte top (my first one's here). 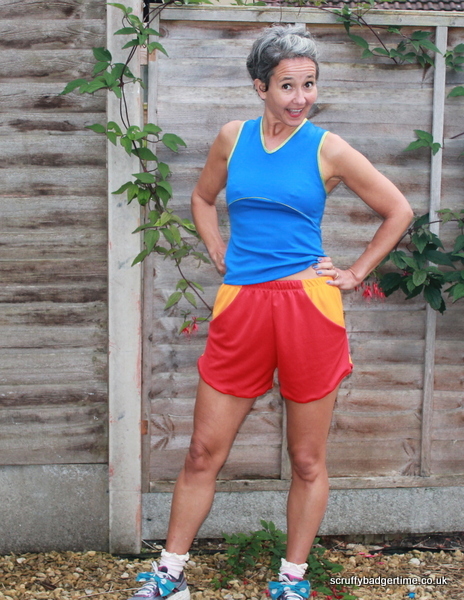 This one is made with a lovely cotton and lycra jersey from Ditto Fabrics. I bought the fabric intending to make the long sleeved version, but failed to take into consideration how much fabric is needed for long sleeves. I only bought a metre (duh), which isn't nearly enough for long sleeves, however adventurous a cutter you are. I do like the short sleeved version though and the fabric's light enough to wear under a cardigan. As per last time, I cut a size 12 at the bust, grading to a 10 at the waist and hips, which gives a nice tight fit. Next up is a navy Mabel Skirt, this time cut to the same length as the pencil skirt version which is a much better length for me (just on the knee). I used a scrap of the Bronte fabric for the inside waistband and even managed to sew it on the right way round this time. The double knit fabric for both of my Mabel skirts came from Calico Laine and it's a perfect weight for the pattern. This version seems a bit roomier than the first one (in a good way), but I'm not quite sure why. I did sew the whole skirt on the overlocker and wasn't particularly vigilant about my seam allowances, so maybe that's it? Anyway, the total time to make both garments - from cutting out to sewing the last hem - was about four hours. It would have been even quicker, but I was distracted by a shoe delivery and had to take time off to play with them. The Mabel skirt only took about 30 minutes sewing time, I kid you not! The Bronte top takes a little while longer as there's all the shoulder binding to negotiate, but it's still easily sewn up in a morning or afternoon. They work well as separates as evidenced above, and even look cute worn together. Trousers are one of those garments that seem to put the fear of god into many sewists. They're really not that scary - in fact I can think of countless sewing tasks that beat trousers hands down: sewing on the bias, sewing with silk, bound buttonholes, invisible side zips and, my personal nemesis, hooks and eyes (uuurrrggh). In reality, once you've made a few pairs of pyjama bottoms, you have the basic skills for trouser making, the hard part is perfecting the fit. I was surprised to discover that I've made quite a few pairs of trousers in my sewing life. The wide legged vintage-style trousers I've sewn (here, here and here) are actually very easy to fit and sew, and given the width of the legs, not that different from PJs. My Juniper trousers fitted well, but that was more fluke than skilled fitting, as my body shape happens to be a good fit for a lot of Colette patterns. My Gertie Capri pants and sailor shorts required a few adjustments, but in both instances it was just a case of taking in seams on the hop. 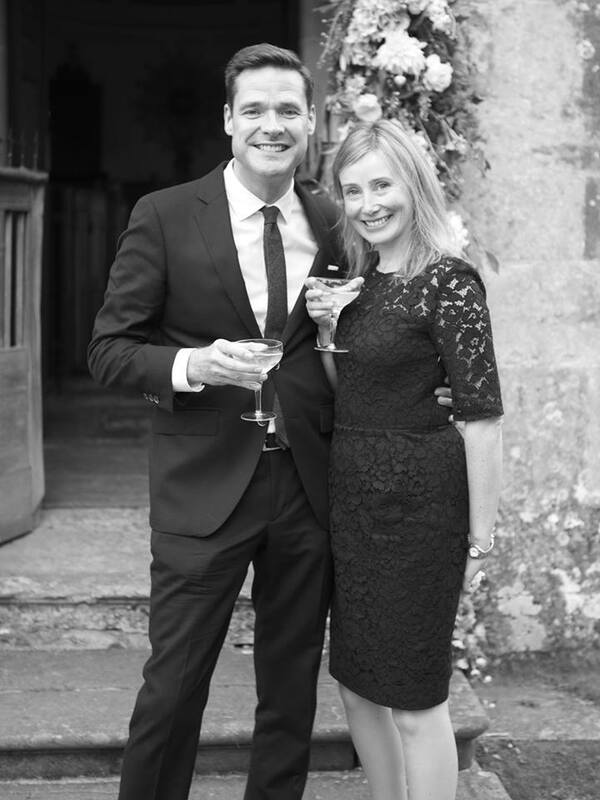 I've never actually sat down with a trouser pattern and tried to work out how to get it to fit to my shape. 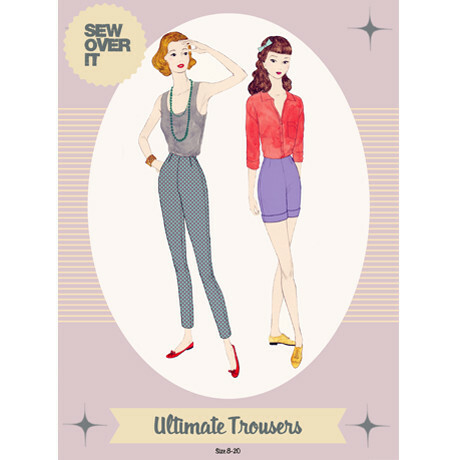 Well, not until I encountered the Ultimate Trousers pattern from Sew Over It that is. I was sent the pattern as a thank you for pattern testing the Betty dress in the summer, but because I'm fickle and the sun was out, all I could think about was sewing dresses. I liked the shape of the pattern though: easy, darted front, ankle length and a classy slim fit and I kept seeing great versions pop up on sewing blogs. My attention was finally caught when Winnie decided to use the pattern for OWOP. Her advice? Once you perfect the fit, it's a great pattern. So I set out to perfect the fit. To do this, I made not one, but two muslins. Gasp! I made a full sized muslin to check the (ahem) crotch area and legs. Then, once I'd sorted out the legs, I made a second muslin from waist to thigh, incorporating my adjustments. 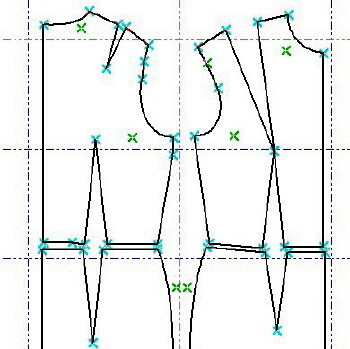 Sew Over It patterns don't have a great deal of ease and are very true to the pattern measurements, so be honest when choosing which size to cut out! For reference, I made a size 10, which is a 28" waist and 38" hip. The first muslin wasn't too bad, but I noticed the back waistline pulled down at the centre quite noticeably. After consulting the fitting post for the Ultimate Trousers sewalong, I knew that this was because my derriere was taking up a bit too much room and forcing the waistband down. A fat arse adjustment was therefore needed! To do this, I added ½" to the centre back seam and ½" to the top waistline. This created more room in the bum area and, very pleasingly, ensured that the waistband was parallel again. I did a smaller adjustment at the front, for my less-than-flat stomach. The only other adjustment I made was to taper the legs in the calf area by a total of 1" each leg, using the tips from the same sewalong post. I hemmed the trousers by just ½" rather than the recommended 1" and the length is perfect on me. Beware though - I'm only 5'2", so if you want an ankle skimming trouser and you're tall (or even normal height) you may need to lengthen them. If you prefer a cropped length, you're laughing. The fabric I used is a navy stretch cotton from Sew Over It. I only needed 1.5m for the size I made, but I bought 2m for contingency. When it arrived, there was a bit extra included as it was the end of the roll - perfect for two muslins! The fabric is quite lightweight, so maybe not suited to winter wear if you feel the cold. It's also VERY stretchy and, perhaps predictably, now that I've worn them a few times, they're a bit big around the waistband - grrr. I'm certain this is all down to the fabric though - if I was making them again in a non-stretch drill for instance, I'd do exactly the same adjustments. Once the trousers are washed, they shrink back to their normal tight fit, which is what you see in these photos. Be warned, though, they are a very tight fit - as Karen remarked when I was discussing them with her, "there's nowhere to hide! ", which is definitely something to consider if you're thinking of making them! The Ultimate Trousers pattern was given to me free of charge for review. All views my own.